C possessed an unadjusted, elevated risk of accident of 25 percent (Odds Ratio=1.25) compared to controls (drivers who tested negative for any drug or alcohol). However, this elevated risk became insignificant (OR=1.05) after investigators adjusted for demographic variables, such as the drivers’ age and gender. The study is the largest of its kind ever conducted in the United States. Read the full story at: http://norml.org/news/2015/02/12/feds-thc-positive-drivers-no-more-likely-to-be-involved-in-motor-vehicle-crashes. Because of the “Origination Clause” in the U.S. Constitution there must be a Representative to submit a “Companion Bill” in order for it to move forward because this clause says that all bills for raising revenue must start in the House of Representatives, but the Senate may propose or concur with amendments as in the case of other bills. What we need to do right now is to find a Representative who is willing to back up Sen. Perry B. Clark’s BR 161 with a “COMPANION BILL” in order to be in coordination with the “Constitution”. Please write your Representative an email or letter asking them to get behind Sen. Perry B. Clark’s BR 161 and provide a “Companion Bill” as soon as possible because the Legislative Session (calendar link here) starts on January 5th, 2016 and January 8th, is the deadline for prefiled House Bills. Also, of note, this is a little more time consuming, but worth it, I believe — When I wrote my “Email” I sent it to my individual Representative, who is Johnny Bell – in Glasgow, KY, but I also copied the email to ALL of the Kentucky Senators as well as the Representatives, so that THEY ALL would be able to see the letter I had written. As well, anyone who may have a printer, and postage money available should ideally send individual letters through the U.S. Postal Service to the Representatives given addresses. The more “paper” we can send them, the better they will hear us speaking! FRANKFORT – The maker of OxyContin will pay Kentucky $24 million over the next eight years as part of the settlement of a long-running lawsuit that accused the company of misleading the public about the addictiveness of the powerful prescription drug. The state first filed the lawsuit against Purdue Pharma in 2007. The Connecticut-based company has had FDA approval since 1995 to market OxyContin, a type of opioid that can relieve pain and has similar qualities to the illegal drug heroin. Kentucky officials accused Purdue Pharma of marketing the prescription painkiller as nonaddictive because it was a pill that, when swallowed, slowly released the drug over 12 hours. However, users soon discovered if they crushed the pill the drug lost its time release qualities and created an instant high. State officials said that led to a wave of addiction and increased medical costs across the state, particularly in eastern Kentucky where many injured coal miners were prescribed the drug. Former Attorney General Greg Stumbo, who filed the lawsuit in 2007, said the case could be worth as much as $1 billion if it ever got in front of a jury. Purdue Pharma replaced the drug with a new version in 2010 that deters abuse. Conway, a Democrat who leaves office next month, said in a news release the case was "still facing significant legal issues." The state Supreme Court was still considering whether Purdue Pharma missed a deadline to dispute the facts of the case. That decision, if awarded in Kentucky’s favor, would greatly help the state wins the case. In 2007, Conway said Purdue Pharma offered Kentucky $500,000 to settle the lawsuit. The state refused. "Purdue Pharma created havoc in Kentucky, and I am glad it will be held accountable," Conway said in a news release. "Purdue lit a fire of addiction with OxyContin that spread across this state, and Kentucky is still reeling from its effects." Purdue Pharma did not admit any wrongdoing in the settlement agreement. “It’s really 19th century behavior in the 21st century. You just don’t invade another country on phony pretexts in order to assert your interests.” -John Kerry, “Meet the Press”, 2nd March 2014. 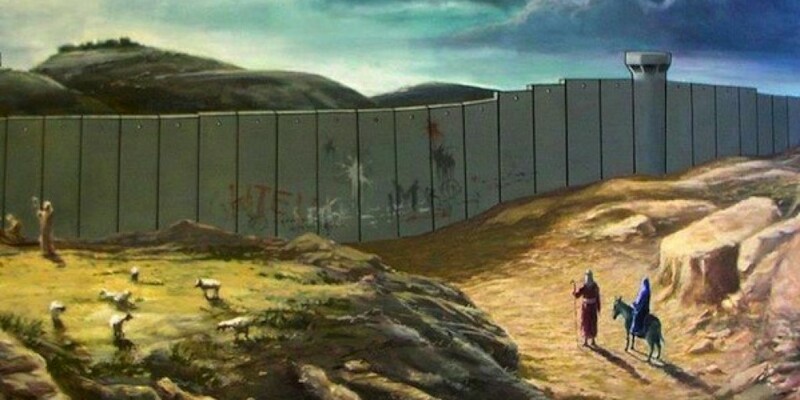 There has been a searing irony to Christmas since August 1990 and the decimating embargo on Iraq. It marked the beginning of the destruction of the region where the three Abrahamic religions were born at Ur in southern Iraq, where the Garden of Eden is believed to have flourished at Al-Qurnah, translation “connection” or “joint”, since it is where the Biblical Tigris and Euphrates rivers join. 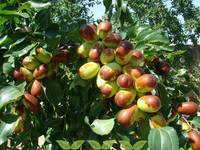 In Al-Qurnah an ancient jujube tree – a fruit species (image right), cultivation of which is believed to go back to 900 BCE – was celebrated as the actual Biblical Tree of Knowledge. Nearby is Babylon, found in the Books of Genesis, Peter and Revelations. Neighbouring Syria, is also part of the “Cradle of Civilization”, integral to Biblical narrative. St Paul of course converted on the road to Damascus – where he was actually headed to persecute Christians not to become one of them. 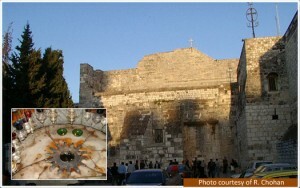 Geographically next door to Syria is what remains of Israeli occupied Palestine, Christ’s birthplace in Bethlehem, where, at what is now the Church of the Nativity (image left), He was believed born. Above are just a few of the jewels of a region now decimated by that created by George W. Bush’s and Tony Blair’s “Crusade,” not to mention Obama and Cameron’s “humanitarian bombings” of the Land of two Rivers. Ur was vandalized by the US army, who arrived with Bibles in vast stocks, missionaries and plans for proselytizing those who had nurtured and stewarded the region’s wonders of all religions for centuries. Al-Qurna was stormed and devastatingly damaged by British, Lithuanian and Danish troops, the Tree of Knowledge whose legend and life seemingly spanned the mists of time, died, near certainly from the poisonous pollution of battle, more poisonous even than that which destroyed over half all fauna and flora after the Desert Storm 1991 onslaught, leaving the soil dead and infertile for years afterwards. Syria’s tragedy in the ongoing Crusade, determination to redraw the map of the Middle East and steal all natural resources rather than purchase them, is outside the scope of this article. However, Mount Hermon is now part of the buffer zone between Syria and Israeli occupied territory and the highest permanently manned United Nations position on earth. “Jesus wept” comes to mind. The tree is a microcosm of the unity to be found across the region and the world between all faiths and none. So where did this rabid Islamophobia, as demonstrated in swathes of mainstream Western media and by politicians suddenly come from? Blair, Straw and Bush all declare passionate Christian faith, with Bush and Blair stating they “prayed together” prior to illegally decimating Abraham’s birth country. David Cameron has also expressed an “evangelical passion” for Christianity as he plots to further destroy Syria. With any luck he’ll be the next to be banned. If you are yearning for peace this Christmas, seeking peaceful ammunition to argue for change and appreciate Global Research giving the facts behind the headlines, please consider donating any amount, however small to Global Research so this valuable resource can continue. Spirit of Christmas”, which lest we forget is “Peace on Earth and Goodwill to all Humanity”. All but nine of Kentucky’s counties will hold a caucus on March 5 as the state divides its delegates for the Republican presidential nomination. The Republican Party of Kentucky announced 111 of the state’s 120 counties will hold caucuses on March 5. Registered Republican voters in the other nine counties can participate in neighboring county caucuses or vote by absentee ballot. Kentucky Republicans are holding a presidential caucus for the first time so that U.S. Sen. Rand Paul can run for president and re-election without violating a state law banning candidates from appearing on the ballot twice in the same election. Only registered Republicans can participate. The deadline to register is Dec. 31. Eight candidates have filed for the Kentucky caucus so far, including front-runners Donald Trump and Ted Cruz.